At Blue Ocean Global Technology, we specialize and have extensive experience in cases of online reputation management (ORM). As a result, reputation repair is one of our key responsibilities. The following case study highlights how a company's or individual's digital reputation can be wrongfully damaged. It also demonstrates the wide dispersion of ORM service provider competence. Limited knowledge and experience in reputation repair hinder a digital marketing company's ability to achieve optimal client results. As you will soon see, what's most effective and efficient to achieve the desired outcome is not always employed. Digital marketing companies may only offer a complex approach at a substantial cost. 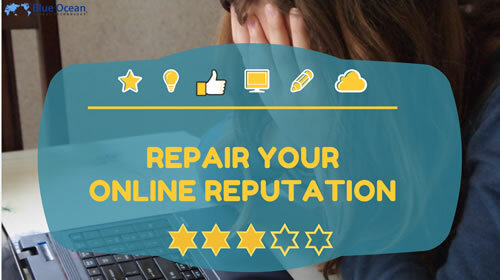 We hope this case study will provide clarity and helpful guidance when conducting effective online reputation repair campaigns. Since its beginning, the internet has offered real opportunities, but also challenges, for all businesses around the globe. And with more reliance on the web, the importance of a company's or brand's digital reputation will increase further. Today, a venture's success and failure are often determined by what is communicated online. This is why enterprise risk is associated with digital reputation. Take Kevin Spacey as an example. The American actor began his career in the 1980s and won an Academy Award for Best Actor in 1999. One of his biggest successes was his role as U.S. congressman and later President Frank Underwood in the TV series House of Cards. However, after Spacey was accused of sexual misconduct by more than a dozen individuals, Netflix cancelled the series in October 2017 and cut all ties with Spacey in any capacity whatsoever. Spacey's latest film, Billionaire Boys Club (2018), was a complete flop and tanked at the U.S. box office after a record-breaking low of just $126 on its opening night. Would Kevin Spacey still be able to enjoy a good reputation were it not for the internet? It's highly unlikely-CNN, the BBC, and The Guardian, among others, covered his story. The #MeToo movement was extensively covered by mainstream media, including television and newspapers, but conducting a quick Google search demonstrates the power of the internet: the fact that more than 3 million search results show up for "Kevin Spacey sexual assault" emphasizes that Spacey's reputation has been damaged beyond repair-and rightly so. Sadly, there are also instances where an individual's digital reputation is wrongfully damaged, as the following case illustrates. Here, every effort must be made to repair what has been harmed to allow these victims to continue leading a normal life. Please note: The defendant's name was changed to conceal his or her identity. Review the assessment report and repair recommendations on the same matter prepared by a third party. Mr. Dupois had been arrested and handcuffed for alleged theft after a former colleague swore that Dupois stole from the company. However, it turned out that this statement may have been based upon false allegations. All charges against Mr. Dupois were subsequently withdrawn and dismissed with prejudice. Later, the matter was sealed, but by that point, unfortunately, the damage had already been done. False and defamatory content were published in newspapers and online. These original content articles were then syndicated, including photographs of Mr. Dupois upon his arrest, on several other digital news websites with high domain authority. If, for example, a company was considering hiring Mr. Dupois they would perform a professional background research. By simply entering Mr. Dupois first and last name, they would find online material presenting the him in a very bad light. Even with two decades of executive experience, the likelihood of Mr. Dupois finding a new job was slim. A comprehensive ORM engagement was the only potential solution for restoring the damage. Thus, together with his attorney, Mr. Dupois asked an expert witness to testify on his behalf, assessing and developing opinions regarding the potential damage dealt to Mr. Dupois's digital reputation. The goal: financial compensation. To what extent was his reputation damaged? What search terms can be entered into Google and other search engines to cause the defamatory content to appear? What can be done to reduce the likelihood that these publications show up on the first pages of the search results? What is the cost of implementing the actions listed in the answer to the previous question? As mentioned above, after this report was completed, the opposing party (our client) asked us to serve as an opposing expert witness. After identifying all the keywords with search results listing undesired links (defamatory content) in Google, Bing, and three other search engines, including image search, the first step in the plan was to create new, positive content to outrank the unwanted content. So far so good. He would then place the new content on different high-quality, third-party websites. This form of outreach usually requires immense time and monetary resources. The last measure was to build links and social references to improve the rankings of the desirable content. The total ORM cost of $2.25 million is completely unacceptable. First, let me say that assessing reputation damage is not a perfect science. In order to find the most appropriate strategy, extensive analysis, testing, and investigation is required. That being said, the most significant mistake that the opposing expert witness made was to eliminate all other options except for suppressing damaging content through outranking it with what we call "high-performance content." Blue Ocean Global Technology has successfully completed more than 1,200 ORM and search engine optimization (SEO) projects, building a positive reputation for our clients and mitigating negative ones. 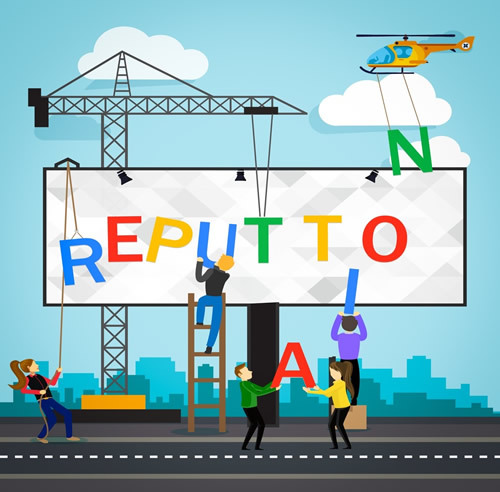 One important lesson that we've learned is that clients must be educated about the process of reputation management in the digital sphere, since it's incredibly complex. The used approach of "spray and pray," meaning generating (spraying) new content and hoping (praying) that it will outrank negative links, should never be the go-to solution. Negotiated removals involve approaching a web administrator directly and requesting the content in question be taken down. From experience we know that the chances for success with this technique are highest if mistakes have been made. In this particular case, we would have tried to appeal to the emotions and sympathy of the web property owners, emphasizing the fact that all charges filed against Mr. Dupois had been dismissed. The problem is that web admins are often too busy to reply to these requests, which reduces the chances for success. This is why it's all the more important to be persistent yet respectful when speaking to these people trying to negotiate a content removal. In the past, we had the best results with humility and kindness, true to our motto "soft on the people, hard on the problem." All in all, we strongly recommended a negotiated removal strategy as the primary option in Chris Dupois's case in our role as an expert witness. We are still convinced that providing official court documentation as proof that the charges associated with the original arrest had been dismissed would have led to great results. Unfortunately, we could not test this approach because of the confidentiality and the sensitive nature of the case. Oddly enough, the plaintiff's expert witness dismissed negotiated removals from the beginning, convinced that it would have been ineffective. On a side note, we were able to successfully remove three out of 12 negative links mentioning Mr. Dupois within four weeks. Websites and hosting companies have no legal obligation to remove content unless a court determines that the content harms the interested party and is false and defamatory, as outlined in Section 230 of the U.S. Communications Decency Act (CDA) of 1996. Again, the expert witness of the opposing party did not believe in this approach. Yet over the years we've learned that even the most stubborn and difficult website admins-those with a no-removal policy-are strongly adverse to any risk of litigation. This is why our recommendation is to always make legal requests for the removal of content, even in cases where there is no substantial likelihood for success, because we've seen great results with this strategy when accompanied with tactful and persistent follow-up. Removing content entirely from internet search results is the most desirable outcome, as the material will simply no longer be accessible. The general approach to this is to determine whether or not a person that has posted negative content has failed to comply with platform- or host-specific technical requirements. These requirements often include thousands of terms and conditions. As the search engine with the biggest market share by far, Google's policies should also be considered. To us, the company's policies have turned out to be particularly useful for opportunities to de-index undesirable links. Bottom line: Our recommendation was to exhaustively explore the opportunities for removing negative information posted in violation of hosting technical requirements for managing Mr. Dupois's case before even considering a suppression campaign. The main reason for this conclusion was that the sites in question were not of the highest authority and technical standard. Disclaimer: Content suppression may be significantly more expensive than the other three removal techniques listed above and may not be as successful. With suppression, the first step is to identify keyword groups. In the case of Mr. Dupois, each keyword contained his first and last name, which led us to conclude that none? of the keywords would have required creating entirely separate content, as stated by the opposing expert witness. From experience, we could tell that high-quality content focused on the two main keywords and different groups of modifiers would have been sufficient, especially for the location-based terms. Categorizing strategic content development into four groups would have been most appropriate and reduced the costs of implementation immensely. The focus had to be Google, Bing, and Yahoo, of course. Combined, these three major search engines have a current market share of more than 96 percent. This is also why we don't consider content suppression in AOL, ask.com, and the like to be necessary. If one is determined to find negative content buried deep in the search results, he or she will succeed despite the most elaborate suppression campaign. Mr. Dupois's pre-existing web properties provided another valuable opportunity for suppression. 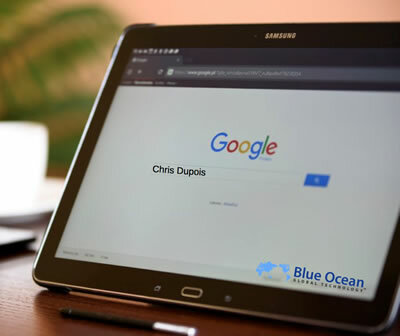 We have to understand that only because there is a lack of relevant content associated with Mr. Dupois did Google and the other search engines populate their results with the arrest-related links and the like. When set up correctly, active and engaging social media profiles can often outperform any negative links, reducing the resources required for suppression. Another step would have been to be proactive and create job profiles on reputable portals with high domain authority that recruiters visit routinely, such as about.me, resume.com, and CrunchBase. When an online reputation has been adversely affected or damaged, our goal is to thoughtfully research, analyze, and help you make the most informed repair decisions. Unfortunately, for many ORM companies, suppression is their go-to solution for reputation management. This has to do with the fact that they lack the skills and capabilities that are required to remove links effectively. In addition, suppression is more profitable-not for the client, but for the service provider. That being said, publishing and ranking more than 900 pieces of content was definitely not the way to go here. It clearly would have been an excessive and unnecessary approach to solving the problem at hand. Instead, our plan was to create a certain number of high-end content articles and place them on third-party websites. The end result would have been of higher quality than the existing negative assets and thus would have automatically pushed the latter down the search engine results pages (SERPs). We estimated a timeframe of somewhere around 6 months, as opposed to 1-2 years, based on recent and similar client cases. Our cost estimate for suppression: $150,000 to $200,000, which included content creation and publishing on high-quality websites, building and optimizing new positive digital assets, and, finally, building links and social media shares to both of the above. For removing the three high domain authority links, we received $40,000. After further analysis, we were confident other links had a high probability of removal, which would significantly lower the suppression estimate from $2.25 million. If your company, brand, or you suffer from defamatory content or require other online reputation services, don't hesitate to reach out to Blue Ocean Global Technology. We will thoroughly evaluate your case and discuss all viable options with you in confidence. 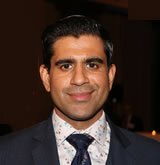 Sameer Somal is the Co-Founder & Chief Financial Officer at Blue Ocean Global Wealth and Blue Ocean Global Technology. He is a subject matter expert witness and frequent speaker on online reputation management, search engine optimization, digital marketing and the digital revolution. Mr. Somal helps clients build, monitor and repair their online reputation. Sameer also provides testimony in courts for client cases and expert consulting specific to the digital footprint of individuals, companies, and governments.